Rich in texture with gorgeous colour combinations, neck pieces and wired neck sculptures from this collection mix the primitive sensuality of hand-wrought sterling with unusual gemstones, corals and pearls to create a visually seductive interplay of mediums. Recognizing the living spirit within all things...within the rocks, within the waters, within the animals, within us. 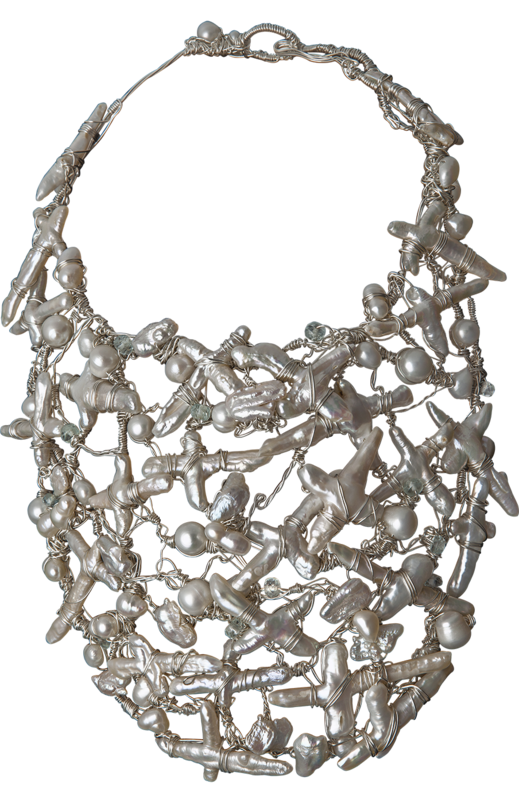 Fabulous statement neck sculptures are hand-woven using repurposed metals, natural gemstones, pearls and vintage crystals. Elements are reclaimed and reused from past creations, worked into creative wearable art. Everything has purpose; everything, meaning.